En este caso os proponemos participar en un curso de formaciòn dentro del programa uventud en Acciòn (Acciòn 4.3) organizado por C.E.S.I.E. y que tendrà lugar en palermo desde el dia 8 hasta el dia 14 de diciembre. El titulo del curso es Speakers of europe (SPEAKEU). Al curso participaràn 40 personas procedentes de 16 paises diferentes! Buscamos un/a participante con experiencia en trabajos con la juventud, motivaciòn e iniciativa! Speakers of Europe (SPEAKEU) is a 8 days Training Course (YiA 4.3) targeting youth workers or social workers, and IT and community managers. It will involve 40 participants from Italy, Bulgaria, Cyprus, Czech Republic, Estonia, Germany, Greece, Lithuania, The Netherlands, Romania, Slovakia, Slovenia, Turkey, Portugal, Spain and United Kingdom – to implement in Palermo, Italy in December 2013 on building a wide Citizens’ Europe. Knowledge promotion (transfer and multiplication) of the EU system, understanding its structure, rules, activities and policies (especially regarding youth and employment), so to motivate participation in European elections 2014. Enabling participants to create/use both traditional (newspaper, radio) and new tools (social network, online channels, blogs, e-learning) of communication tools as means to promote the debate on European issues in their local context (schools, local associations, informal youth groups), impacting on participants as they will develop the capacity to communicate Europe through new skills and technical competencies that may be capitalized on the job market. Working methods are based on non-formal learning principles, also peer-to-peer/Open Space Technology. Working sessions alternate group/team-building activities, debates, audio-visual presentations and working groups, so to develop key-competence for personal/social/professional development: communication strategies for NGOs, digital skills for traditional and new media, problem-solving, teamwork, debating, analytic and creative thinking, enlarge self-management and communication capacities for increased self-confidence. – with a level of English which allow them to follow the sessions. 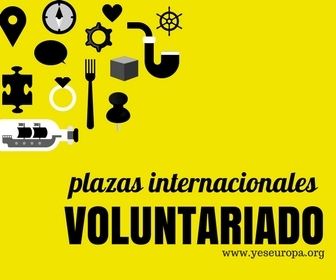 Viaje: cubierto al 70% por el programa Juventud en Acciòn (deberàs comprar tu el billete y guardar las tarjetas de emabarque; a tu vuelta de devolveràn el 70% y bajo la entrega de las tarjetas de embarque). Alojamiento y comida: cubiertos al 100% por el programa Juventud en Acciòn. El alojamiento serà en habitaciones compartidas con el resto de participantes. Cuota de aprticipaciòn: 20€ a abonar a ingalicia por paypal o transferencia bancaria. Intercambio en Palermo! Buscamos 7 participantes!